Taking your first cloud migration steps can be a challenging proposition, especially for cloud newbies. Everyone needs a helping hand when it comes to cloud technology; more precisely cloud migration assistance. Cloud migration is something your business can do itself, one way or another, with greater or lessor effort and required time. However, if you want to migrate to cloud for your business successfully, then cloud migration assistance should be your number one option. It’s not surprising that almost one in two business owners look for outside help and guidance during the cloud migration and transition process. There may be too many new, unfamiliar aspects for your IT staff and infrastructure to handle successfully while introducing the cloud into your business and IT process initially. Cloud migration assistance can easily be the cheapest and most efficient way to go through this critical period smoothly and with no pain at all. There’s one point that cannot be understated: Simply because you hired someone to take care of your cloud migration assistance needs, it doesn’t mean that you can forget about your own IT resources. Rest assured that they will play an important role, working hand-in-hand with outside cloud migration assistance and service providers. There will be lots of homework to be done during and in the aftermath of your cloud migration process. The leap to cloud services can and will affect your customers (and staff) in many cases, especially when services such as identity management, BYOD management and software interfaces are included. Working with an award-winning cloud service partner like cloud9 Real Time can help your business prepare for common difficulties experienced in the migration – we’ve assisted thousands of clients with cloud migration and we are ready to assist you. 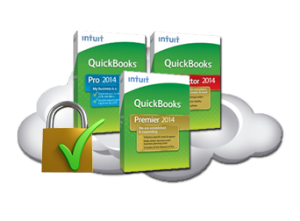 Cloud9’s cloud migration assistance and solutions garnered more industry awards in 2012-14 than all other Intuit cloud service providers combined, including the Sleeter Awesome App, the K2 Quality Technology Award, the CPA Practice Advisor’s 2012 and 2013 Reader’s Choice Award, and the 2012-13 UP Award as one of the Best Cloud Hosting companies, to name a few.